Theater critic J. Wynn Rousuck joins guest host Rob Sivak with another of her weekly reviews of the region's stage offerings. Today she spotlights the Tony Award-winning musical, Fun Home, now getting a new production at Baltimore's Center Stage. Adapted from the best-selling graphic memoir of the same name by Alison Bechdel, with music composed by Jeanine Tesori and book and lyrics by Lisa Kron, Fun Home introduces us to the Bechdel family through the eyes of daughter Alison—played at ages 9, 19, and then 43, by Molly Lyons, Laura Darrell and Andrea Prestinario, respectively. We experience Alison's shifting memories of her brothers, mother, and her complex and difficult father, played out amidst the family funeral home, and we relive Alison’s emotionally wrenching coming out. The musical world-premiered at New York City’s Public Theater in 2013 and went on to Broadway, where it won the 2015 Tony Award for Best Musical for the composer of Caroline, or Change and the writer of 2.5 Minute Ride. Fun Home is directed at Center Stage by Hana S. Sharif. 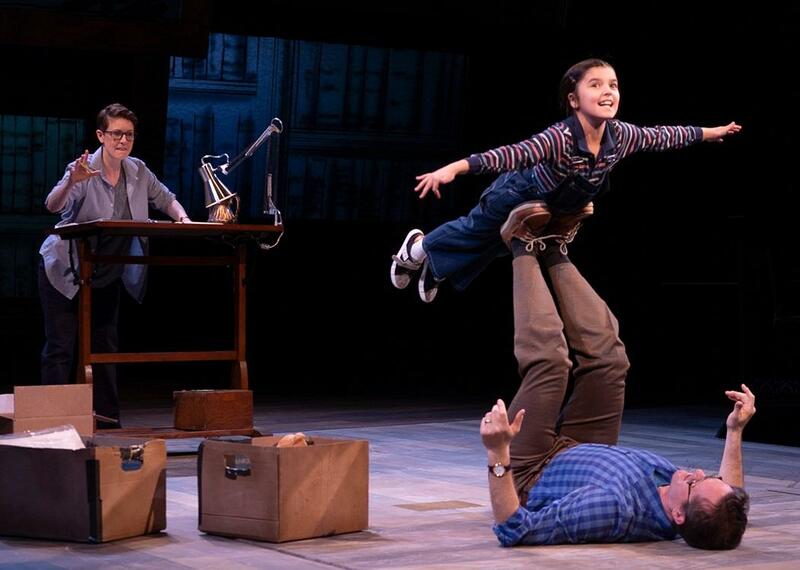 Fun Home continues at Baltimore Center Stage through Sunday, February 24.